So now that there was a holiday and an in-service day my days are all mesSeD up. Today, is a day five and it is Tuesday. Yikes. That means that Wednesday is the first day of my week. I have to hunker down now that there has been a break in the organization of my week being Monday day 1...Friday day 5... Now, this is the way it will be until the end of the school year. BooHoo. While I am really not focused I have to tell you guys that this weekend we went to see our daughter in college. Very traumatic stay at our hotel. A fight broke out right in front of my hotel door at 11:40. I called the desk they told the men to disband. He left. More men joined and it got hairy and scary. Called again. They left. It became really quiet and we all slept. No noise until breakfast and no food. The hotel clerk was dealing with the men that returned from the hospital. The men left and 4 of them were shot. One died. They returned very upset and angry. We didn't worry about food. We went back to the room to pack up, but then the guys were outside our room talking about the shooting. OMG. Happy Easter. We got out alright, but it was SCARY! Called the hotel customer service to share the story. Figure that the only person working at the desk did alright considering, but I was pretty hungry. I spent the day organizing and planning for the week ahead. I think I've got it. Kinders- will listen tot he story It's Pumpkin Time. We then will use the sequence cards to put our pumpkin plant in order from seed to pumpkin. I used the cards and sheets from Preschool Printables. We then will plant pumpkin seeds and put them in our grow lab. We will finish off our time with a sequence activity...putting pumpkin pictures in order for our kinder "garden". Firsties- will be be learning about insects in station format (okay tried this with the first group...will rethink stations for them they didn't focus at all) I will start off with a review using pictures of bugs. What makes them insects. We will then sing the song Head, Thorax, Abdomen losing a line each time and replacing it with buzzing. We will continue onto stations having students make a ladybug with sequence of the life cycle on the back. They will use bug info cards to research a bug and answer questions and then onto a game "what do you know about bugs?" I will show you when I bring my camera tomorrow. We will finish up with bug or not games. I show pictures and they must tell me insect or not. Seconds- will be learning about the parts of the plant. I have different plants for them to observe. 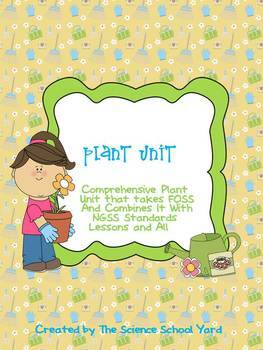 They will do some activities to draw and label and also some matching words to vocabulary from my Plant Unit. We will finish up with an art project tracing a hand and adding to the parts of a plant bulletin board. Green for stems, brown roots, yellow flower, green leaves...labels and all. 3rd- will be using the FOSS kit to understand about vibration. They will do a quick quiz first, then sound through air, liquid, and solids. We will use the projectable sound book from reading a-z. Then we will do the tuning fork activity, sound through air activity, and sound through water. We will finish with the understanding of how sound travels best through a solid. 4th- will be working on moon stations. 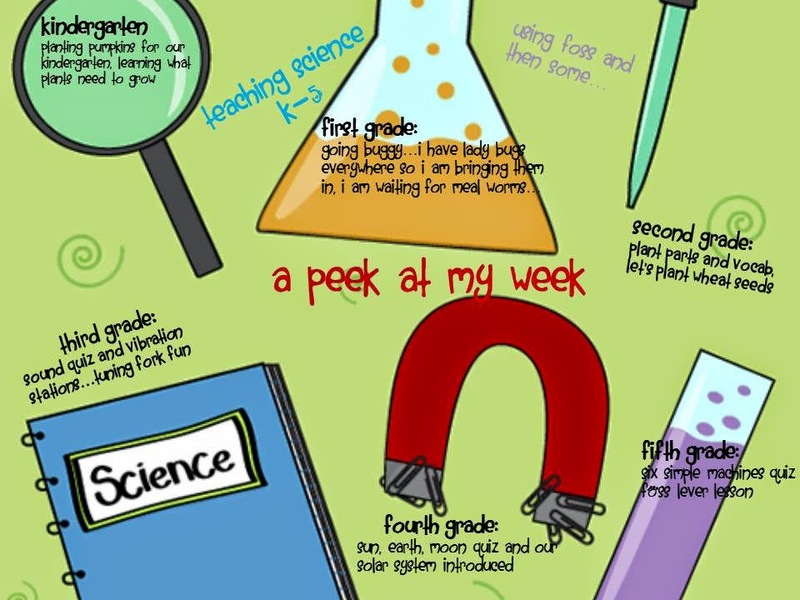 We are using several lessons that I am working on from other sites. Station 1...making a model out of oreos. Station 2...reading comprehension from k12Reader. Station 3... We will finish with a flip book to make and take from Science Notebook Chick on TPT. 5th- Cardboard arcade is ready to go. I will play the games...check for 2 or more simple machines, then a quick quiz. We will finish with the FOSS lesson on intro to levers. I can't wait to post pictures of our arcade in use. That is a CRAZY hotel story!! I would've been so scared!! Glad y'all were ok! Makes for a fun story, I guess??? ?